In May, France found a hero to contend with the latest marvel release. 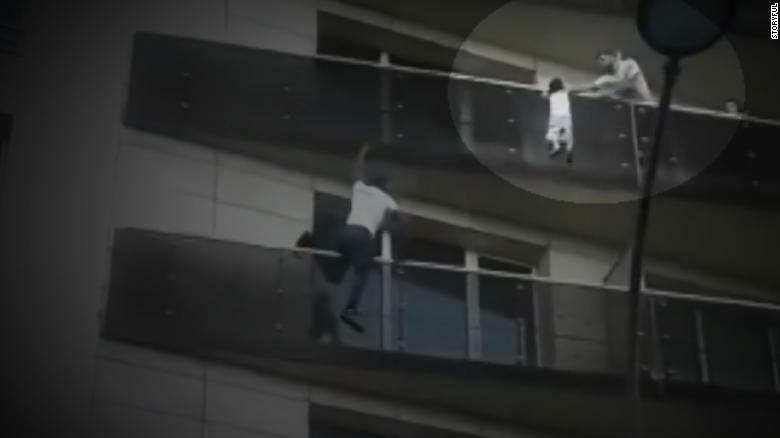 Footage was released of a man called Madamou Gassama expertly scaling 4 floors of apartment walls in less than 30 seconds to save the life of a child was dangling from a balcony. In true action film fashion Mr Gassama reached the child with seconds to spare; he was met with roars of applause from the crowd waiting with baited breath below. The identity of our superhero was revealed, and he was unmasked as ‘refugee’, the actions of this hero were applauded and circulated the news outlets; probably to the despair of some of the more right wing press but refugees cant spend all their time making murderous terrorist plots. Mr. Gassama had a meeting with French president Macron who announced that Mr. Gassama will be made a hero. “I told him that in recognition of his heroic act he would have his papers in order as quickly as possible,” Mr. Macron said in a statement on Facebook after meeting with Mr. Gassama at the Élysée Palace in Paris. The Paris firefighters also said they were were “eager to welcome” Mr. Gassama into their ranks. A lovely rags to riches tale, Mr Gassama received citizenship and a job and no one could argue it was undeserved. Mr Gassama like all refugees had a story which included a perilous journey from a dangerous country risking his life by paying smugglers to take him across the dangerous Mediterranean sea. Mr Gassama will be one of the lucky few granted full citizenship; as in 2017 only five people were granted residence papers for “exceptional talent” or “services rendered to the community” Citizenship will seem like a far out dream to many in a country with increasingly strict immigration laws and where refugees are viewed with suspicion and skepticism. Refugees all over fighting for citizenship can celebrate; as the secret to achieving citizenship has been revealed. All that’s required is showing your worth through acts of heroism. In order for a nation to see your humanity and value as a human you must contribute via knightly deeds. Some suggestions could be rescuing a cat stuck up a tree, pulling a child out a manhole or pushing an old lady out the way of oncoming traffic. Clearly in order to release yourself from the label of ‘refugee’ and achieve status and worth as ‘citizen’ you need to be ‘eye of the tiger’ style excellence not just any old human. Perhaps the only solution is for refugees to start staging these heroic acts and throwing cats up trees themselves in order to display grand gestures of gallantry. Macron has been quick to clarify that Gassama is an exception not the rule and has taken a tough approach to immigrants. Parliament had been discussing a draft put forward by the French government which restricts the right of asylum seekers. This has been criticized by human rights groups. It seems it takes exceptional acts of bravery and service for refugees to be considered worthy of a country to live in. We automatically label these people problematic and a nuisance, they have to prove that they are worthy of belonging, to us. Article 14 of the Universal Declaration of Human Rights states that “Everyone has the right to seek and to enjoy in other countries asylum from persecution.